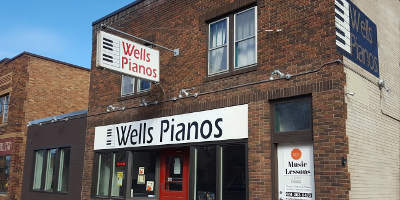 Peruse our used and new Steinway, Bosendorfer, Yamaha, Kawai, Seiler, Charles Walter, Brodmann, Hailun, and other pianos. Steinway Model O Grand Piano - All NEW Inside! Seiler Model ED126 Studio Piano 48"
Charles Walter Professional Grade Studio Piano - Walnut 2 Years Old! Steinway Model L Grand Piano - NEW Soundboard! Kawai Console - Inside Like New! Steinway L - Great Condition! Kawai Studio Piano - Like New! Steinway 6'4" Model A3 - Rare - Last Year of Production! Seiler 6'2" Special Factory Demo! Steinway Sheraton Studio Piano - Walnut - Great Piano! Seiler 6'2 Model ED-186 2-Year Old Demo Piano! 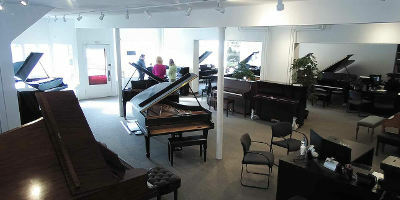 Seiler 242 Concert Grand - NEW Demo Piano! Beautiful Walnut Steinway B Grand Piano- Great Condition!